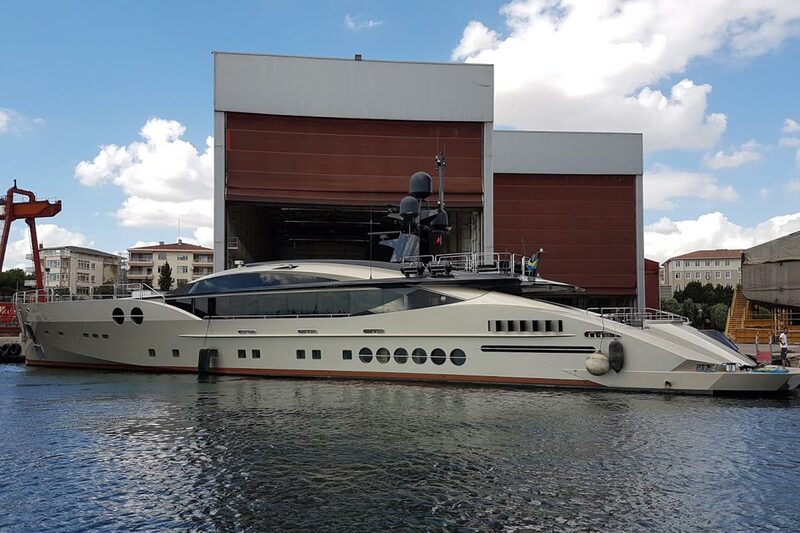 Launched by the US yard Palmer Johnson in 2010, ‘Aura’ is the first hull in the PJ170 series and features a gorgeous design by Nuvolari-Lenard which looks as fresh and exciting as it did when the yacht was originally delivered. Timeless styling, beautiful furnishings and sumptuous seating feature throughout to create an elegant and comfortable atmosphere on board. Her spacious full beam owner’s suite features large circular windows letting in tremendous amounts of natural light. 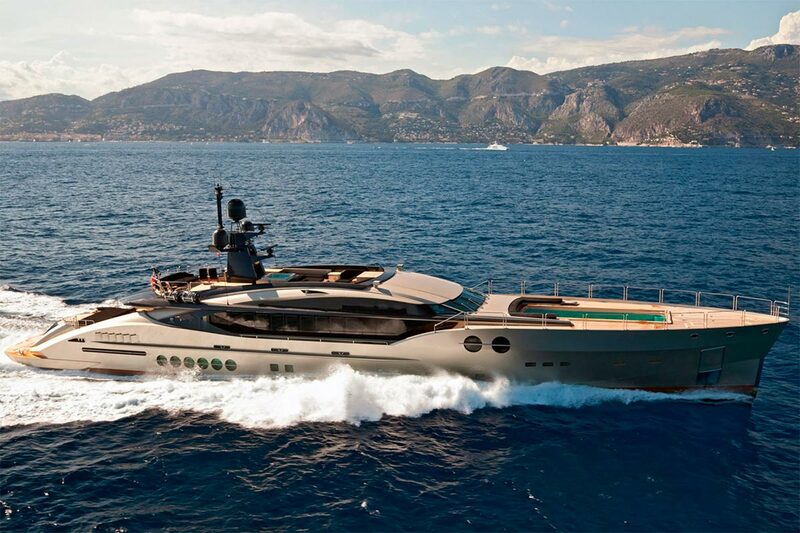 The exterior layout includes two Jacuzzis – one on her sun deck, the other on her aft deck – and a massive 8m pool on the foredeck that offers additional exterior lounging spaces. 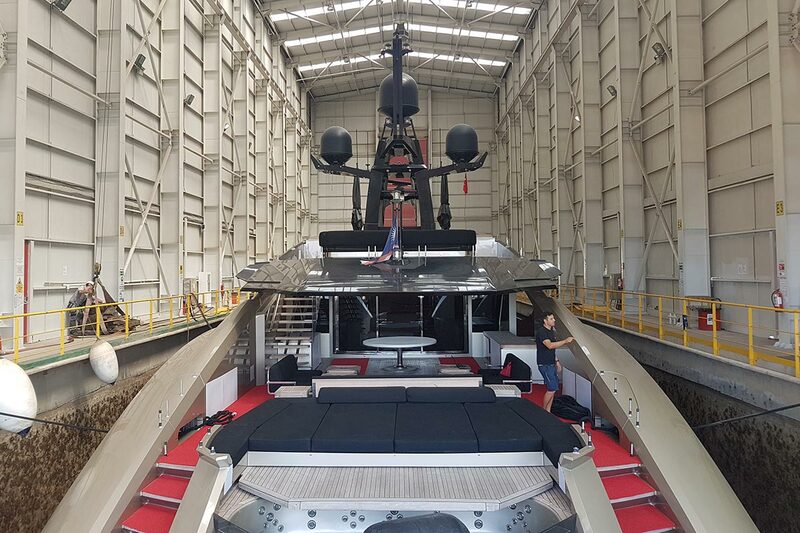 Having been a repeat visitor to the yard from 2016, the yacht was sold to her current owner two years later and entered Dunya’s dry dock – the only one of its kind in Turkey – in September 2018 to undertake a major refit and to bring her back to “as new” condition. Although her interior has weathered well and clearly been beautifully maintained during her life time, the same could not be said of her original paint work which was showing signs of age, including a growing number of blisters and a mat finish to what had once been an eye-catching metallic gold colour scheme. At the same time as the hull and superstructure were being prepared for her new paint, an overhaul of all the technical systems has been undertaken. This has included changing all service batteries and updating the power converters, a complete review of the AC system together with replacing a significant number of fan coils, testing and overhauling all hydraulic systems, maintenance to the AV/IT systems as well as servicing to all pumps and the gyro stabilisation system. In essence, the entire boat has been given a thorough health check to ensure she is in even better condition that when she was originally delivered. With works to the mechanical systems now all but completed, the focus of activity is on completing her paint work. Having already repaired the blisters, the full Awl grip cycle is being strictly followed. At time of writing, primer has been applied to the hull but the owner is still debating his final choice of colour scheme. We will continue to update with her progress over the course of future editions of our newsletter.